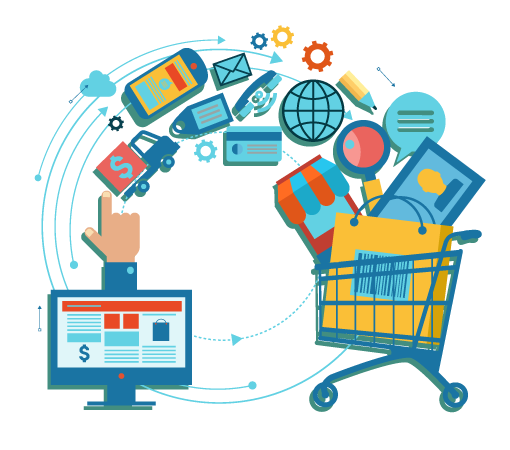 The advantages for having a great E-Commerce site are clear. Your operation shifts from a 9-5 to a 24 hour business. Your business shifts from trading locally to trading globally. Building a customer base with seamless digital marketing becomes easy and pleasurable to do. But knowing where to start can be tough, right? There’s so many options out there.And it’s only made harder when you’ve already got an existing biz you want to bring online. How can you build a market in the digital economy without losing your existing customer base? Challenges like these are what I resolve for clients in my eCommerce work.We bring to every project a versatile skill set that can meet their needs, and deliver them a really fantastic eCommerce website at the end.